Having an autumn wedding but don’t like orange? 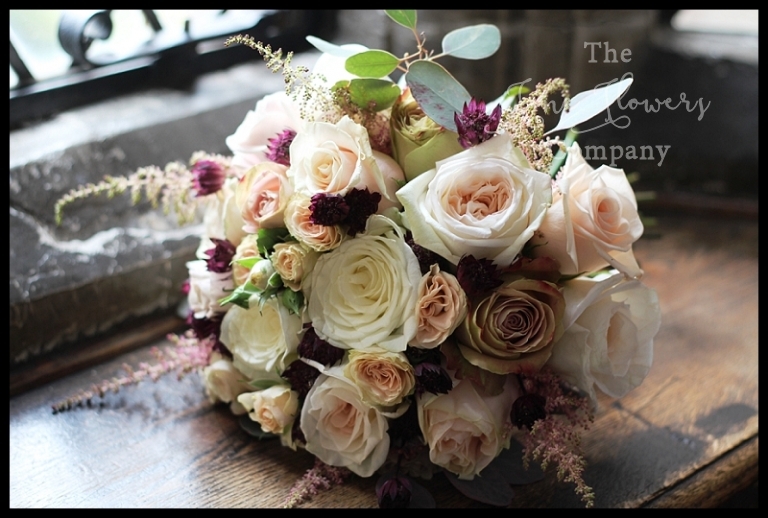 These fall vintage wedding flowers are a beautifully soft take on autumnal colours and are a far less predictable ‘autumn look’. So if your autumn wedding plans don’t feature any run of the mill burnt orange and berries or even sunflowers, this will hopefully give you some really nice ideas! Some truly beautiful photography is featured in this post, thanks to Ed Godden Photography. 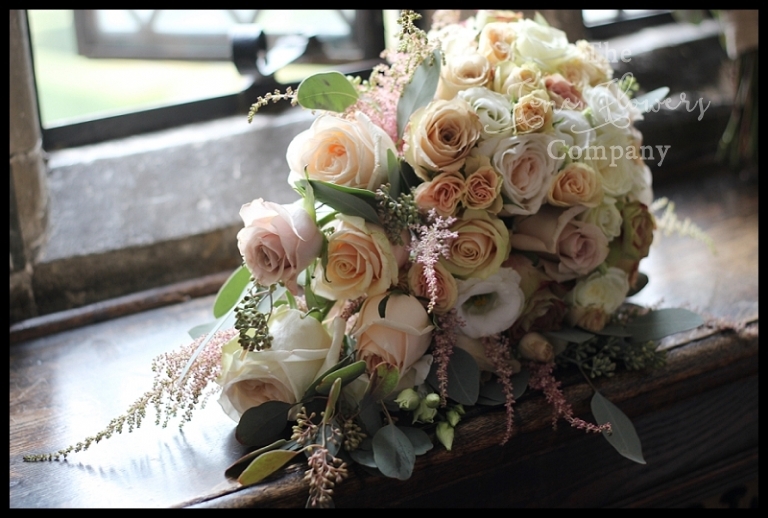 We really loved working on Amy & Chris’ wedding flowers, and not just for the beautiful unusual colours. The fusion of dreamy touches like the tulle-tented ceremony area, with a mix of shabby chic bird cage lantern centerpieces and elegant candelabra centerpieces, gave the wedding a really distinct romantic and dreamy, yet very relaxed and natural look. Amy, wearing a beautiful lace dress with a latte sash, carried a beautiful tear drop bouquet with Quicksand roses and O’Hara roses among many more beautiful varieties, too many to be able to list them all. The bridesmaids, wearing deep pinky-burgundy, carried matching bouquets with a light sprinkling of claret astrantia to accent their dresses. The wedding took place at Great Fosters Hotel in Egham, Surrey, in the wonderfully light and airy Orangery. The start of the wedding aisle was flanked by opulent vintage candelabra centerpieces and was then lined with shabby chic vintage bird cage centerpieces raised up on plinths, matching the ones on the ceremony table. The colours looked beautiful with lime-wash chiavari chairs and suited the shabby chic style perfectly. Staging the all important wedding ceremony area was a beautifully dreamy rustic tulle covered wedding canopy arch. After photos, the wedding party returned to the changed-over Orangery room, for the wedding breakfast. The tall candelabra and bird cage centerpieces were all cleverly reused to dress the top table and the guest tables, and the wedding canopy arch was pushed against the wall to create a beautiful added feature in the room.